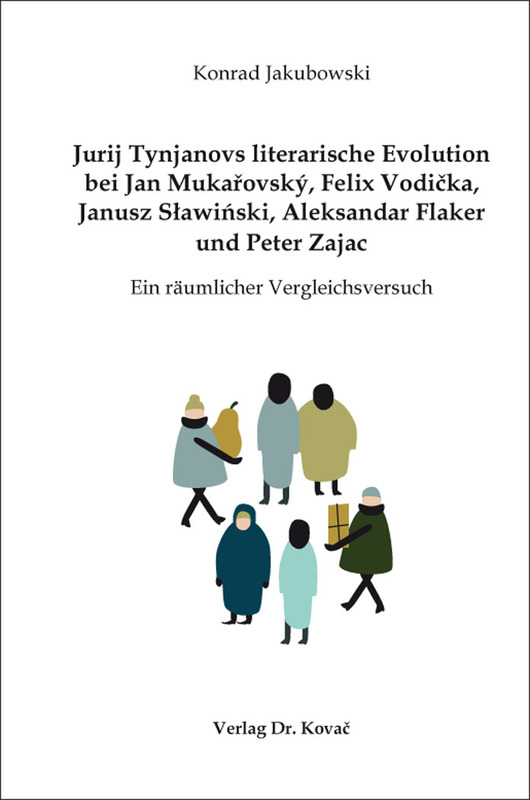 Jurij Tynjanovs literarische Evolution bei Jan Mukařovský, Felix Vodička, Janusz Sławiński, Aleksandar Flaker und Peter Zajac. Forschungsarbeit (english) von Konrad Jakubowski, Verlag Dr. Kovač 2019, 132 S.
Yury Tynyanov is one of the most influential literary critics of Russia, that is why there are a lot of books on his theory of literary evolution. The book at hand covers authors, such as Jan Mukařovský, Felix Vodička, Janusz Sławiński, Aleksandar Flaker and Peter Zajac. It provides the reader with an overview of the diverse contributions in the field of literary theory in the slavic area made by the authors mentioned above. The advancement this book tries to present lies in the usage of a special method of comparison, which tries to extract what is essential to all those theoreticians and thereby connect them. In doing so, the author makes use of topological considerations and the newest insights on the classification of phase transitions. Furthermore does the author also draw conclusions from studying the etymology of Tynyanovs language.